The BHS Library's goal for the 2016-2017 is to jumpstart its transformation into a 21st century learning space. To meet this goal, we'll focus on one area each quarter. 1st Quarter: Prepare the physical and virtual library space to accommodate and encourage traditional and 21st century learning activities and resources. 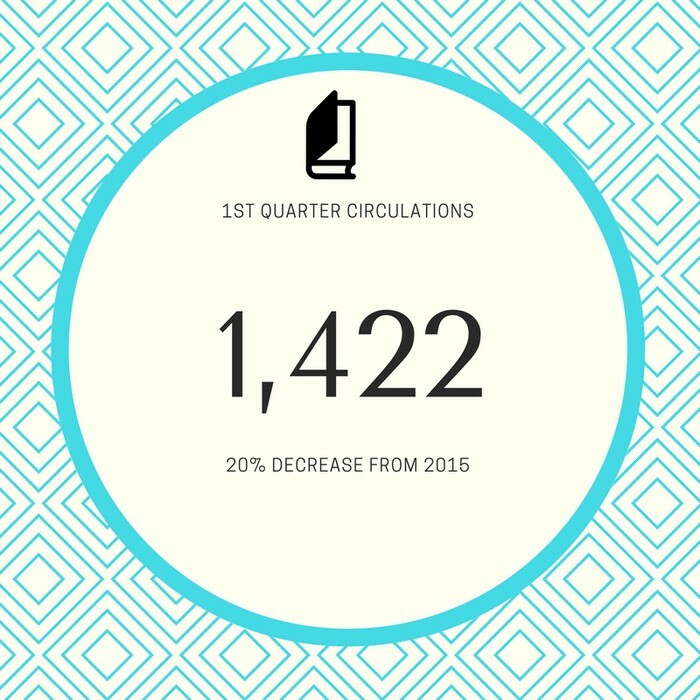 2nd Quarter: Promote new resources and services to our students. 3rd Quarter: Invite/Encourage students to participate in meaningful activities and programming with our new resources. 4th Quarter: Collaborate with classes and teachers to align 21st century learning activities and resources with instructional goals. 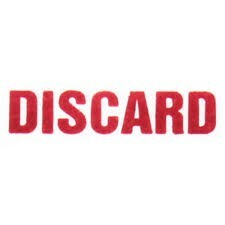 Outdated AV equipment--cassette tapes, VCRs, etc--have been removed from the collection. The entire fiction section has been weeded in order to prepare for Genrify-ing the section so that students can browse and self-select more easily. We've made space in the Library to incorporate low-tech/low-stress activities for our students, like a coloring station and a Buddha Board. 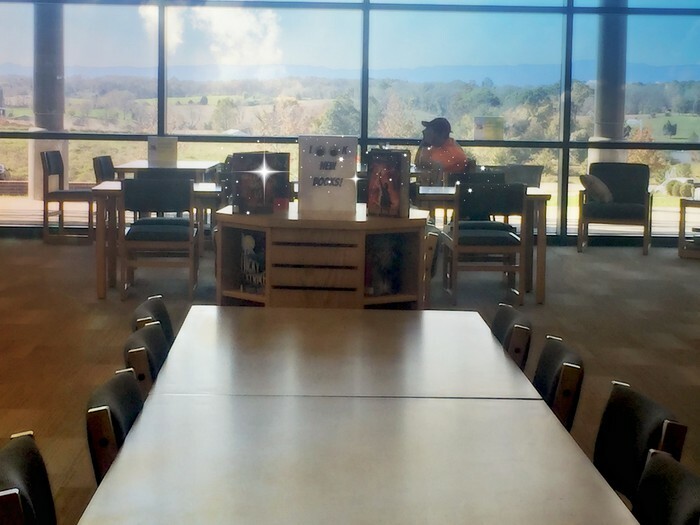 In order to drive more traffic to books and maximize space for our new Makerspace activities, we've rearranged furniture, created and combined new sections, and made new book displays. 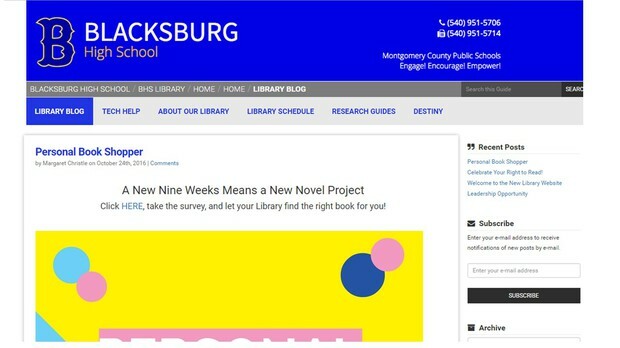 We upgraded the Library website to a subscription Content Management Service specifically designed for libraries. While currently operational, one our Technology Interns (Nolan), is further enhancing it so that it will streamline with our circulation system and database subscriptions. With the exception of the 3D printers, all items funded by the PTSO have been purchased for the Makerspace! With the input from several knowledgeable students, we've opted to purchase 1 $200 printer, and one (approximately) $1200 printer, instead of one expensive printer. Watch Donna plan out her robot's path with our new Ozobot. For 1:1 schools, strong school library programs are critical for ensuring that students are information literate. 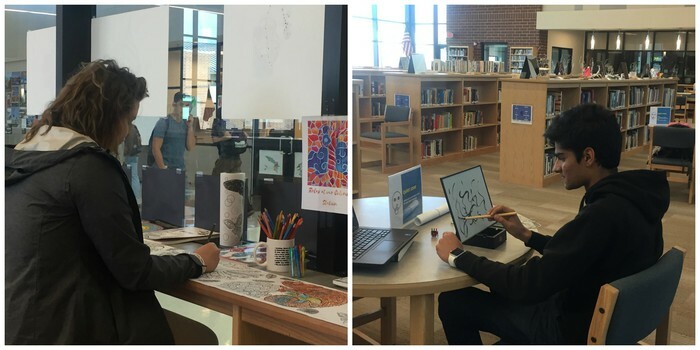 Libraries must advocate in new ways to ensure that we're reaching our students--not just in the Library, but wherever they are with their devices. The BHS Library has implemented the following services, specifically designed to meet the needs of of a 1:1 school. While today's libraries emphasize library use over circulations, these numbers still provide a good indicator of library use and a school's reading culture. 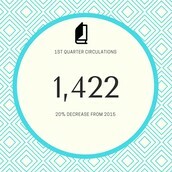 This significant dip in circulations from 2015 required the Library to reflect on possible causes. Our belief is that the development of individual English classroom libraries have impacted our circulations. 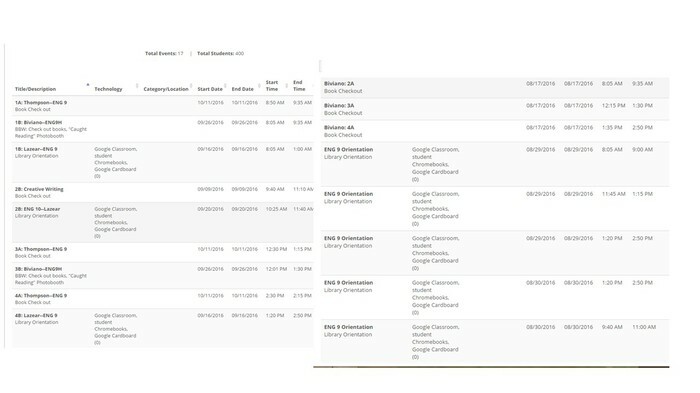 In an effort to support (not compete with) these class libraries, the Library will complete projects that promote reading (genrification of the fiction section, Personal Shopper, development of sports fiction and nonfiction), as well as continue to develop new strategies to promote literacy. 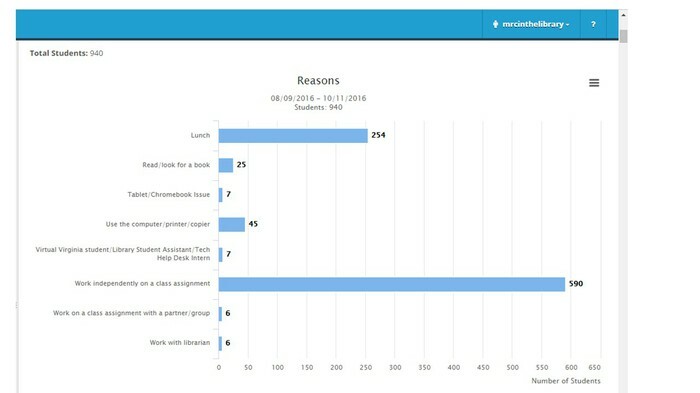 27% of all drop-ins are during lunch. These numbers do not include the 144 students supervise for Virtual Virginia classes, study hall, and student aides. (Over 70 Virtual Virginia students in 25 different sections). We initially asked students to sign in if they have a device issue. This practice soon became cumbersome and this category will be deleted on next quarter's report. The BHS Library served 82% of the English department.